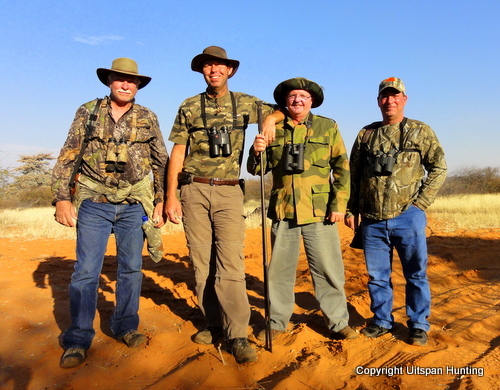 Here you can book your Kalahari hunting adventure to Uitspan Hunting Ranch in Namibia. We created the form below so that you can give us an idea of what you would like to hunt. Fill in the required fields below and click on "Book This Hunt For Me" to ensure that we have your preferred hunting date available! Changes to the wishlist and/or dates can be discussed with us via e-mail. Once we receive your form, we will contact you. We will also send a detailed cost calculation for you before you need to pay a deposit. You will then know exactly what the total cost of your safari will be. We assure you that there will be no hidden costs. 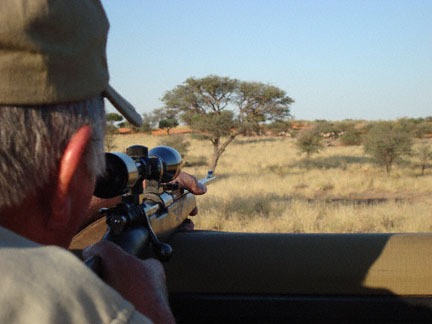 Your booking will be confirmed and reserved as soon as Uitspan Hunting receives a deposit of 40% of the daily fees (for designated length of the safari) payed to our bank account. Your deposit will reserve your hunt with us on your preferred date. This is a safety measure for both you as client and for us as operator. Our Hunting Gallery shows our most famous species.